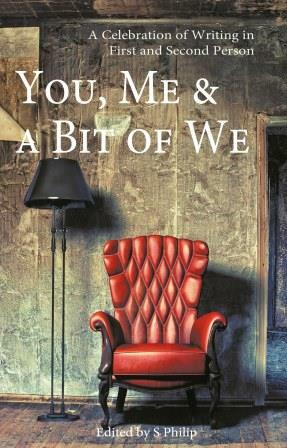 Today I received my copy of You, Me & a Bit of We, edited by S Phillip and published by Chuffed Buff Books. It’s an anthology of 42 short and flash stories told in first or second person. One reason I have the book is that it includes one of my stories, and this is the first time my work has appeared in a book. I know what my story says, but finally I get to read the others (the publishing process has taken months). I’ve only had time to read a few of the stories so far, but I’m thrilled to be in such great company. All the pieces I’ve read have been striking and original and I’ve already had several of the ‘I wish I could write like that’ moments. One thing that surprises me is that women contributors hugely outnumber men. Is the short story a female genre? Does the editor prefer women’s subjects? Are men not submitting their work? With Alice Munro the new Nobel Laureate for Literature, the short story is coming to the fore big time. I hope the men aren’t going to miss out on the opportunities for getting their work noticed. Congratulations, excellent news — I’m looking forward to reading this. Thank you so much. I’m sure you’ll enjoy the stories. Well done. And you don’t have to wipe that smile off your face for at least a month – honest, it’s allowed. Thank you. I shall take your advice. Congratulations, that must feel great!! Thank you. Yes, it is a nice feeling – as of achievement and of possibilities for the future.